Worthy Of A Second Read? 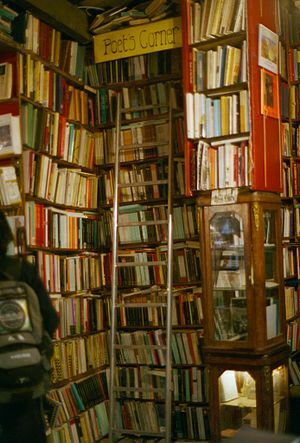 Are there any characters or books you read many years ago that suddenly, for no apparent reason, pop into your head so often that you have to go and seek them out again? There are so many books I want to read that it is rare, if ever, that I would consider re-reading one. But, as always, there are exceptions. Three authors who have compelled me to come back for second helpings are Brian Lumley, Ann Rice and Andrew Laurance. Check out my favourite offerings from them which push your imagination through unknown boundaries of other worlds with the aid of the Mobius Continuum, witchcraft and even astral projection. Lately, Harry Keogh – Brian Lumley’s character – has been tapping me on the shoulder. Shudder. If you’ve read any of these books, then you’d shudder too! The covers alone were enough to send chills running up your spine and more than a weird glance or two if read on public transport. The books, for anyone with a taste for the supernatural involves Harry Keogh, (the necromancer who can speak to the dead and is a member of E-Branch), vampires and the other worlds where Harry must travel to fight evil. I’ve read so many of these books over the years, beginning with Necroscope, but a couple are still waiting, not so patiently, it appears, on my bookshelves! Rumour has it that Necroscope is due to be filmed – with his Bond qualities already well-honed, I could see Daniel Craig fitting the role of Harry Keogh perfectly – as long as he’s not creeped out by talking to the dead . . .
A huge fan of Anne Rice and her vampire chronicles, I was surprised to find myself enjoying the Mayfair Witches, mainly set in New Orleans, even more. Beginning with The Witching Hour, the trilogy continues with Lasher and Taltos to complete the set and each haunting, spellbinding book seduces you deeper into a world from where you are reluctant to return. 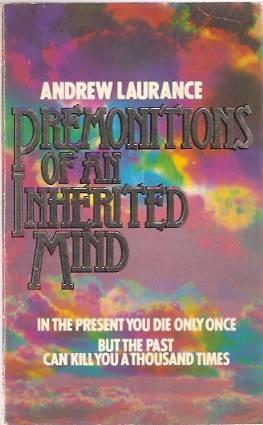 Another series of books I couldn’t put down were by Andrew Laurance (pseudonym for Drew Launay), beginning with, Premonitions of an Inherited Mind, from 1979. The blood of Nostradamus, unknown to Michael Dartson, flows through his veins and traumatic visions of past and future have him questioning his sanity until his terrifying predictions begin to come true. This was followed by The Link and The Unborn. The only set of books I’ve ever bought twice and read twice. Writing this post has sent me trawling through the web to see if I can purchase them again – and fingers crossed – with a new title and the real author’s name I’ve found, The Premonition. Such great memories I plan to relive again of stories, characters and worlds that drag you, kicking and screaming within their pages and only allow you out again when you reach that last word on the last page! I’d love to hear your favourites from long ago that you deem worthy of a second read. And let me know if you are a fan of any of my favourites or have you not yet returned from the worlds they’ve conjured . . .